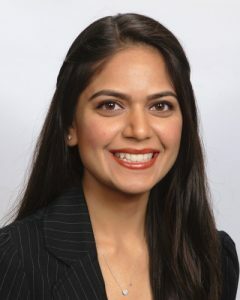 Dhara Patel, PharmD graduated from Lake Erie College of Osteopathic Medicine – School of Pharmacy in 2015 and thereafter headed to her hometown of Plant City, Florida to begin working for Publix as a pharmacist. She has been working in the retail setting for almost 3 years now and has held various roles, including pharmacy manager, honing her multitasking, problem-solving, and team management skills. In her career, she is dedicated to making a positive impact on patient health and wellness through evidence-based best practices and collaboration with other healthcare stakeholders. She has a leadership spirit that allows her to drive quality, inspire excellence, and create change for the better in all aspects of medication management. She started as a volunteer for NBMTM and was a part of the exam content development team where she made a significant impact on the organization. Now, as a board member, she is committed to devoting her time and service to help it achieve its mission, which is to serve and protect the American public.